The all new Lenovo Sisley S90 supports Dual-SIM(GSM+GSM), Wi-fi, GPS, TD-LTE and NFC comes with a bigger 5-inch Super AMOLED HD (720×1280 pixels) display promising crystal clear display for watching movies, video and playing games while Android 4.4 kitkat OS and powerful 1.2GHz quad-core Snapdragon 410 processor with Adreno 306 GPU promising your dream multi-tasking experience and 1GB RAM, 16GB internal memory( no words of external memory support) allows you store your favourite songs, movies and games while 13-MP rear camera with LED flash and 8-MP front facing camera with LED flash for attending VOIP calls and taking selfies and powerful 2,300mAh battery promising 23 hour of talk time measures 146 x 71.7 x 6.9mm and weight 129gm. 23 hours of talk time. 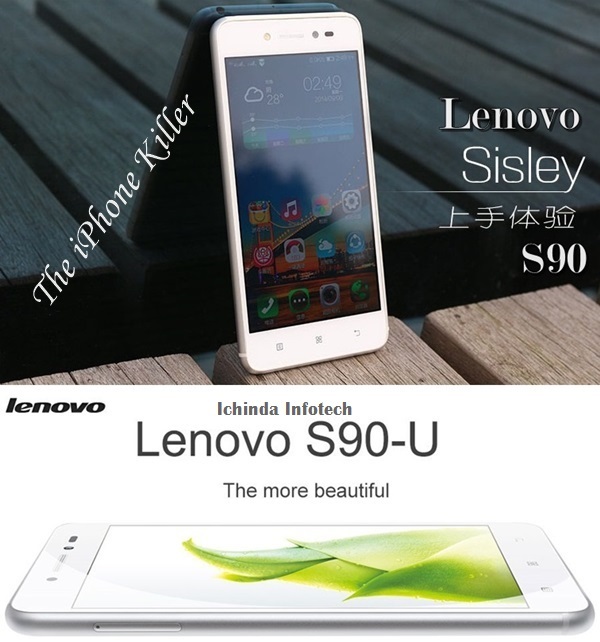 At last few honest word that all new Lenovo Sisley S90 is coming to rule the world market. What you think? Please be open to give your view. It looks by specifications, that it will be a hit in mobile market.